Want to play Angry Birds on your laptop? Now you can. 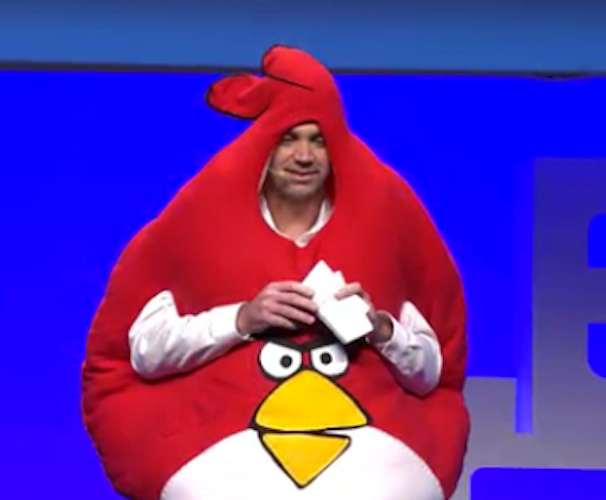 In the name of killing what’s left of our productivity, the Rovio team has just released Angry Birds into the Intel AppUp store. Now, instead of only swiping, dragging and tapping the birds on your mobile device, you’ll be able to do it on any Windows XP or Windows 7 system of your choosing. While it had previously been released in Finland, the rest of the world can finally get a piece of the action. The ferocious feathered ones will cost you a few dollars extra, though. The AppUp store presently has a sale going for $4.99, but soon the prices will raise to $9.99/£5.99/€7.99, depending on from where you’ll be making your purchase. So why are you still reading this? Even if you don’t have an iPhone or Android device and you’ve never played Angry Birds before, it’s high time that you start. Get downloading and let us know your thoughts.